George H.W. Bush and Mikhail Gorbachev in Malta in December 1989 (ITAR-TASS). The Bush administration informally promised Gorbachev that NATO would not expand “one inch” beyond East Germany. The promise was never fulfilled. To defuse the Ukraine crisis, a formal, written promise not to expand NATO by Washington to Moscow would do much to build mutual trust and confidence between both countries. 1. The West and Russia should drop any mutual sanctions or restrictions against one another. 2. In order to encourage mutual trust, Moscow and Washington should make an unambiguous, official agreement prohibiting further expansion and encroachment of NATO into the former Soviet republics. Such an agreement must be clearly articulated in a written document, unlike the informal promise not to expand NATO made by US officials to former Soviet President Gorbachev in the 1990s. 3. The United States must promise to cancel the planned missile defense shield in Poland and the Czech Republic. 4. The United States should recognize Russia’s interests in the former Soviet states, including at least verbal support by Washington for the Moscow-based Eurasian Union, provided that it does not expand beyond the boundaries of the former Soviet states. 5. On Crimea, Washington, Brussels, and Kiev should recognize and accept Russia’s incorporation of the peninsula. This may be a difficult step to take, but the West and the Yatsenyuk government have to acknowledge that the area is demographically and historically Russian, and that it is home to Russia’s Black Sea Fleet. Moscow will not reverse this action and any attempts to force Russia to do so would be counterproductive. Therefore, Washington, Brussels, and Kiev should recognize the reality that Crimea is effectively part of Russia. 6. On Ukraine, both Moscow and Washington should express a desire to see Ukraine proper united and indivisible, and to adopt either an oblast-by-oblast federal system or a decentralized unitary system. Ukraine should declare military neutrality and should pursue integration into the Eurasian Customs Union based on Ukraine’s logical and historic economic ties with Russia; notwithstanding the fact that the EU economy currently cannot manage Ukraine. If Brussels were to bring in Ukraine, it would seriously threaten the stability and unity of the EU and would unravel the progress made over the decades of forging a united Europe. Both Russia and the EU should cooperate on helping Ukraine to strengthen its economy and state institutions by challenging the stranglehold of the Ukrainian oligarchs. 7. Given the fact that many Moldovan citizens are already EU citizens via Romanian passports, and that Moldova is becoming increasingly integrated with the EU, Moscow should recognize Moldova’s pro-European orientation. In turn, Chișinău should relinquish its claims to Transnistria. Depending on the situation in Ukraine and the will of the people of Transnistria, the latter could then reunite with the former as part of the multiethnic, Russophone Odessa Oblast. The new division would occur along the River Dniester, with all Moldovan-controlled areas on the right bank of the river being ceded to Transnistria, and all Transnistrian-controlled areas on the left bank being ceded to Moldova. The remaining Moldovan state would proceed with EU integration, but would declare military neutrality and disavow any intention of reunification with Romania. Its relationship with the latter would then become akin to the relationship shared between Germany and Austria. Such a resolution would alleviate ethnic concerns within Moldova, particularly with the Gagauz. 8. On Georgia, Moscow should promote (with the support of Washington) a federal solution for Georgia as well, making Abkhazia and South Ossetia federal states within a unified Georgian republic. The process for this should follow roughly along the lines of the proposed plan that I posted earlier. Like Ukraine, this new united Georgian federal state should declare military neutrality and, for economic, historical, and geographic reasons, should integrate into the Eurasian Customs Union. 9. On Armenia and Karabakh, the solution to this particular issue should be in the principle of self-determination for the Karabakh Armenians, though this is just an opinion. The aggressive and threatening rhetoric and actions from official Baku have only alienated the Karabakh people. Notably, Baku has also consistently denied basic human rights to its own ethnic Azerbaijani citizens. Thus, such a regime could not be trusted to rule over the people of this region. Aside from this, in order for there to be a realistic and lasting solution to this problem, Azerbaijan must open its borders with Armenia and civil society contacts must be enhanced. Armenians and Azerbaijanis can get along, but not when they do not see or communicate with one another. In their common humanity, they will find that peace and coexistence are possible, but the borders must be open first. Turkey too must open its border with Armenia. 10. Both sides should agree on a gradual convergence of the West and Russia (along with the former Soviet states) in economic, political, and military spheres, thus ensuring that all parties are on the same page with regard to the future of the post-Soviet space and post-Cold War world in general. There are so many more important priorities that need to be solved in the world (Iran, North Korea, Syria, etc.). Russia and the West need to cooperate on these issues and must not be in conflict. Further, such a solution would effectively help to realize the long-term goal of a united and indivisible Europe. It would also go a long way toward building trust with Moscow, thus creating the conditions for Russia to deepen its democratic development endogenously. Updated and revised on 20 September 2016 with additional information, including the economic and political roots of the Transnistrian conflict (in addition to the historical factors). Please note that this entry was originally written in April 2014 and thus does not cover subsequent political developments in Moldova, such as the rise of the Euroskeptical and pro-Moscow Party of Socialists and Patria-Rodina bloc. It also does not cover subsequent events in Ukraine, such as Mikheil Saakashvili’s appointment to the governorship of the Odessa Oblast. Moldova and its breakaway region of Transnistria have been in the news a lot lately. I will attempt to give some historical background to this complex borderland in my analysis below. The EU’s Eastern Partnership (EaP) program included within its scope the six countries of the former Soviet west. These were Belarus, Moldova, and Ukraine in Eastern Europe and Armenia, Azerbaijan, and Georgia in the Caucasus. 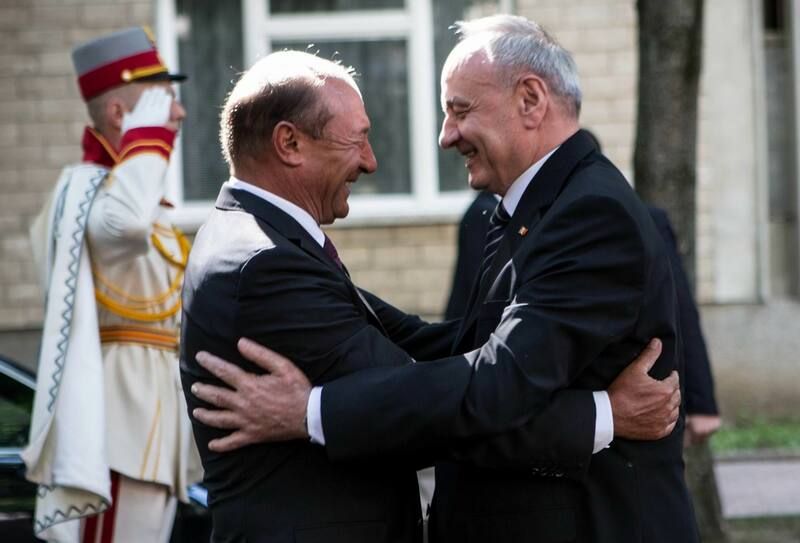 Of the six, Belarus and Azerbaijan expressed little interest in the project. However, the remaining four states – Armenia, Georgia, Moldova, and Ukraine – actively participated in it. The motives of these states’ involvement in the EaP varies. In the cases of Armenia, Georgia, and Ukraine, the leaderships of these countries used the geopolitical competition between Russia and the West to get the best terms for their countries. Armenia’s Sargsyan and Georgia’s Ivanishvili have both played this chess game especially well as their countries have a history of playing Great Powers off of each other to their own advantage. In this respect, they are neither categorically “pro-Russian” nor “pro-Western,” but rather “pro-Armenian” and “pro-Georgian” respectively. Ukraine’s Yanukovych attempted to play this game too but proved far less decisive and pragmatic than his Caucasian counterparts. Meanwhile, the leadership of Moldova has pursued an entirely different path. It seeks to fully free itself from Moscow’s orbit and to integrate into the EU regardless. The reasons for the close Romanian-Moldovan relationship are both ethnic and historical. Moldova corresponds almost exactly to the historical Romanian region of Bessarabia, located between the Dniester and Prut rivers. The majority of its population are ethnic Romanians, who speak Romanian. The colors on the Moldovan flag are almost exactly the same as those on the Romanian flag. Likewise, both countries consider the Romanian poet Mihai Eminescu to be their national poet. Along with a good portion of eastern Romania, Bessarabia had once formed a major portion of the old Vlach-speaking principality of Moldavia. In 1812, it was annexed by the Russian Empire, but after the 1917 Russian Revolution, the region’s local leaders formed a National Council (Sfatul Ţării) and voted to join the Kingdom of Romania in 1918. It remained a part of Greater Romania for much of the interwar period. As a challenge to Romania’s control of Bessarabia, the Bolsheviks created the Moldavian Autonomous Soviet Socialist Republic (ASSR) in 1924 in Soviet Ukraine. Most of the territory of the Moldavian ASSR corresponds to the now-breakaway region of Transnistria. Inhabited primarily by a mixed population of East Slavs and Romanians, this territory was never part of Bessarabia or the historic principality of Moldavia. The Soviets instead used the region as a means of arguing that the Moldovans were not a branch of Romanians but an entirely unique people. “Scholars from the West, in particular the German ethnographer Gustav Weigand, had noted earlier in the century that Romanian-speakers in Bessarabia and Bukovina spoke a dialect distinct from those in the Romanian kingdom,” wrote historian Charles King in his excellent overview, The Moldovans, “but these differences were no more striking than regional variations inside Romania itself. In the MASSR, however, these distinctions were imbued with political meaning.” These dialectal differences served as the basis for the creation of a new “Moldovan” language, which, despite its Cyrillic alphabet, was virtually identical to Romanian. Maps of Romania and Moldova. The top map from 1926 shows the interwar Kingdom of Romania including Moldova within its borders. The bottom map from 2001 shows the present-day boundaries of Romania and Moldova. In June 1940, the USSR annexed Bessarabia as part of the Molotov-Ribbentrop Pact. Most of the area was united with much of the old Moldavian ASSR (modern Transnistria) to form the new “Moldovan SSR.” When the Nazis invaded the Soviet Union during World War II, Romania under the fascist leadership of Ion Antonescu joined the German war effort. The Romanian forces not only regained Bessarabia from the Soviets but pressed on further east to take all of the territory between the Dniester and Southern Bug rivers, including the historic city of Odessa. The new territory, administered by Romania, was called “Transnistria.” Hitler granted it to Antonesu as compensation for giving Transylvania to Horthy’s Hungary in the Second Vienna Award. The Romanian administration of this “Transnistria” was very brutal for the local population, especially for the Jews. When the tide turned in the war, the region was recovered by the Soviets along with Romanian-speaking Bessarabia. By the end of the war, the 1940 borders between the Soviet Union and Romania were now reestablished. Attempts at centralization by the nationalist government in Chișinău only exacerbated the differences with Transnistria. “Soviet” elites in the latter began reacting to the nationalist elites in Chișinău. “Already in the late 1980s,” wrote King, “there developed a dynamic that would culminate in full-scale war by 1992: Every move in Chișinău that pulled the republic further away from Moscow was met by a countermove in Transnistria that drew the region itself farther away from Chișinău.” This eventually led to Transnistria militarily breaking away from Chișinău to form its own self-proclaimed republic in 1992. Moldovan elites were likewise concerned about the Gagauz, a unique group of Turkic-speaking Orthodox Christian people whose homeland straddles the southern boundaries between Moldova and Ukraine. After the Soviet collapse, the Gagauz “made common cause with the Transnistrians” but did not go so far as to proclaim their own independent republic. Still, in December 1994, Chișinău granted them their own autonomous unit in the south known as Gagauzia. The situation has been stable and the Gagauz have likewise been granted the right to secede if Moldova decides to reunite with Romania. Chișinău offered a similar deal to Transnistria, but there has been no resolution on this to date. In the 2000s, the head of the Moldovan Communist Party, Vladimir Voronin was elected President of the country, the first such case in the former USSR. Though claiming to be supportive of European integration, Voronin, a highly Russified Moldovan, also sought to expand ties with Russia. However, his administration did little to improve the lives of everyday Moldovans, and poverty and corruption remained major problems. A victory for the Communist Party in Moldova’s April 2009 parliamentary election, though hailed as free and fair by European observers, sparked major protests and civil unrest. Student demonstrators clashed with police, stormed the parliament, and carried the flags of Romania and the European Union, chanting slogans like “We are Romanians!” and “Down with Communism!” At least five students died because of the riots. President Voronin responded by placing the blame for the unrest on Bucharest, which denied any involvement. Three months later, Moldovan state prosecutor Valeriu Gurbulea confirmed that Romania had nothing to do with the protests. Though successful in the April 2009 elections, the newly elected parliament was unable to elect a President in June. Consequently, Voronin had to dissolve parliament, thus paving the way for snap parliamentary elections in July 2009. This election brought to power a new governing coalition of liberal political parties collectively known as the Alliance for European Integration (AEI). Voronin resigned from the presidency in September but the AEI was unable to elect a president until March 2012, when the independent judge Nicolae Timofti was finally voted into office. As their name implies, the top priority of the AEI and its successor the Pro-European Coalition (PEC) has been EU integration and EU membership. It took advantage of Moldova’s position with the Polish-Swedish EaP initiative and quickly emerged as the most progressive ex-Soviet state in terms of EU reforms. Among other things, the AEI advanced the issue of visa liberalization in Moldova. On April 3, 2014, it was announced that there will now be a visa-free regime between Moldova and the EU’s Schengen Area. Moldova also confirmed the final version of its Association Agreement with the EU at the November 2013 Vilnius Summit to be signed in June 2014. When a nation has the opportunity to be together, it should not give up. It may not happen straightaway, but it will happen one day, because blood is thicker than water. I think this is the right time to say that we have this objective, if Moldovan people want this. I am convinced that if Moldova wants to unite, then Romania will accept. He also stated that after joining the EU and NATO, Romania’s third priority must be reunification with Moldova, though given official Chișinău’s concerns with ethnic minorities such as the Gagauz, it would likely be less enthusiastic about taking such a step. Băsescu further cautioned that “the big risk for Moldova would be a treatment with arrogance by EU – be aware, I use the word with responsibility – which would not take into account the electoral realities in Moldova.” Moldova still faces many challenges to its EU road, both domestic and foreign. Internally, Vladimir Voronin and the Communist Party advocate a strongly pro-Russian stance, ultimately favoring membership in the Eurasian Customs Union. The Communists adhere to a strong Moldovenist position, advocating a unique “Moldovan” identity and firmly rejecting the idea that the “Moldovan language” is in fact the Romanian language. “Moldova can become a European country only by joining the Customs Union,” the 72-year-old Voronin told a crowd of largely elderly anti-EU activists from the Communist Party. However, Voronin and the Communists are not a spent force. As Băsescu alludes, they have a substantial following within Moldova. Though they lost the July 2009 parliamentary election to the AEI coalition, the Communists still garnered 44.69% of the vote. They poll especially well in the north of the country and also among the substantial East Slavic minority of Moldova proper, which numbers about 14% of the total population. They also do well among the Gagauz in the south who fear that closer relations with Romania could threaten their hard-won autonomous status. Consequently, the possibility of Moldova’s pro-EU coalition losing to the communists is very real for Moldova in terms of its future geopolitical orientation. Still, for the immediate future, this risk is mitigated by the fact that Moldova’s next parliamentary election will not be held until November 2014, several months after Chișinău is set to sign the final version of its Association Agreement with the EU in June 2014. There are also external challenges. Like Ukraine and Armenia, Moldova too is heavily dependent on Russian energy. It currently imports all of its natural gas from Russia, though the newly-inaugurated Iași-Ungheni pipeline with Romania promises to undermine this total dependence. A wine-producing country, Moldova also exports 28% of its wine production to Russia (for comparison, 47% of Chișinău’s exports go to the EU). A recent embargo by Moscow of Moldovan wine, due to an alleged trace of plastic contamination found in barrels of devin, has been a serious issue for the country. Some claim that the ban was politically motivated as a means of pressuring Chișinău to change its pro-EU geopolitical orientation, an assertion that Moscow has flatly denied. In addition, as many as half a million Moldovans are estimated to work illegally in Russia. Significantly, approximately the same number have Romanian passports and have departed the country to work in Western Europe, with Traian Băsescu provocatively claiming the number to be much higher, up to 1.5 million. However, Moscow’s biggest cards to play with regard to Chisinău’s EU ambitions are its distinct ethnic regions of Gagauzia and Transnistria. Gagauzia is not a breakaway region but rather an autonomous unit comprised almost entirely of ethnic Gagauz. Though content with remaining part of Moldova, the Gagauz are concerned about how joining the EU could affect their future, especially given Romania’s involvement. Recently, the Gagauz leadership held a referendum in February 2014 that rejected the country’s pro-EU aspirations and reaffirmed its right to secede from Moldova in the case of reunification with Romania. Though condemned by the Moldovan court as “unconstitutional,” this referendum was clearly intended as a warning to Chișinău against the possibility of a future reunification with Romania in which the Gagauz autonomy might be threatened. For the record, ex-communist Romania has consistently refused to grant autonomous status for any ethnic minority in its country including, most notably, the ethnic Hungarians of the Székely Land. Traian Băsescu himself has ruled out any possibility of a future Hungarian autonomy. Following the referendum, the pro-EU Moldovan government sought to reassure the Gagauz that a reunification with Bucharest was not imminent, and that the EU will actively work to better guarantee their minority rights. Whether or not the Gagauz will be adequately convinced of Moldova’s European choice remains to be seen. If left unresolved, this issue could devolve into a very serious crisis. Aleksandr Lebed in Tiraspol, the capital of Transnistria, during the 1992 war. Most significantly of all, there is the unresolved conflict over Transnistria. The majority of Transnistria’s population is East Slavic (Russians, Ukrainians, and Belarusians who collectively make up 60% in total according to the 2004 census) and Russian is the dominant language. Politically, the pro-Russian orientation is strong here and is reinforced by the presence of the Russian 14th Army (now known as the Operational Group of Russian Forces in Moldova). Aleksandr Lebed, the Bonapartist Russian strongman from the 1990s, played a key role in Transnistria’s 1992 war of independence from Moldova proper. He viewed himself as the liberator of Transnistria from the “fascists” and “ideological heirs of Antonesu” in Chisinău. He is regarded as a hero here. While Moldova is officially committed to returning Transnistria under its rule, it is unclear what benefit this would bring to the country as a whole. For one thing, Transnistria does not have a deep historical relationship with Moldova. Even the poet Eminescu in his famous work Doina spoke of the Romanian nation as only stretching “from the Dniester to the Tisza.” Unlike Georgia’s conflicts with Abkhazia and South Ossetia, in which the Georgians attach deep emotional and historical significance to their breakaway regions, the same really cannot be said for Transnistria and Moldova. Transnistria was attached to Moldova proper in 1940 and thus was only associated with it for 52 years until its secession in 1992. Compare that to the Georgian-Abkhazian or Georgian-Ossetian relationships which extend back several centuries into history. In addition to this, Transnistria can be viewed as more of a major economic liability for Chișinău than a benefit. Though Moldova currently owes virtually no debt for its gas imports from Russia, Transnistria owes approximately $4 billion to Gazprom. Moscow presently holds Chișinău accountable for this debt. The only way to get rid of it would be for Moldova to entirely relinquish its claims to the disputed territory. Transnistrian President Yevgeny Shevchuk. An ethnic Ukrainian and anti-corruption activist, Shevchuk is keen on forging closer ties with Moscow. Meanwhile, Transnistria’s current President Yevgeny Shevchuk, while not the Kremlin’s choice in the Transnistrian election, has continued to maintain strong ties with Moscow. An ethnic Ukrainian, Shevchuk studied in both Ukraine and Russia and was elected as a reformer committed to challenging corruption and oligarchy, not as an advocate for reunification with Moldova. After his election in 2012, he immediately met with Sergei Ivanov, one of Putin’s closest associates and an influential member of his inner-circle. He also advocated that Transnistria adopt the Russian ruble and Russian laws, with the ultimate aim of Transnistria joining the Eurasian Union. Observing this scenario, it seems that while Moldova proper is increasingly moving closer toward the EU, Transnistria is moving very much in the opposite direction toward the Eurasian Union. A potential, logical, and peaceful solution to this problem would be the formal separation of these two entities from each other. Moldova’s pro-EU leadership could recognize Transnistria and relinquish all claims to it, while working with the authorities in Tiraspol to delineate the border between the two states. Given Transnistria’s limited viability as an independent entity, Moscow could work with Tiraspol and Ukraine to consider the possibility of reuniting the former with the latter. A solution like this would satisfy Transnistria’s pro-“Soviet” and pro-Slavic sentiments and would absolve Moldova of any lingering debt to Gazprom. It would also help reduce any sort of ill feelings in Ukraine toward Moscow for its recent incorporation of Crimea. However, such a resolution is entirely contingent on the people and the elites of Moldova and Transnistria and on how the situation in Ukraine develops. It could only work if a new government more amiable toward Moscow and Tiraspol emerges in Kiev. It also should be noted that Moldova proper is of marginal significance to Moscow. The country is poor, landlocked, and Romanian-speaking, with few natural resources and very little geostrategic value. It is already very much integrated with the EU and a sizeable number of its citizens already have Romanian/EU passports. Additionally, the inauguration of the Iași-Ungheni pipeline will likely substantially reduce Moldovan energy dependence on Moscow. Thus, the best and most logical solution to the ongoing Transnistria problem would be its split from the Moldovan state and its eventual reunification with Ukraine. This past week, photographs of the late Georgian Prime Minister Zurab Zhvania’s body emerged in the press. According to the official investigation by the previous government of Mikheil Saakashvili, Zhvania died from a gas leak in his apartment. However, much of the Georgian public did not accept this finding. Suspicions arose when some former officials in the Saakashvili government questioned the formal explanation. The new photographs, disclosed this week on YouTube, show injuries on the former Prime Minister’s body, clear evidence of foul play. Lawmakers in Saakashvili’s United National Movement (UNM), now in the opposition, immediately condemned the discovery as a “political act” by the ruling Georgian Dream party. As for your question, whether I will arrive in Georgia or not, I can tell you that I will arrive in Georgia not to fulfill Putin’s dream but to free my country of those who fulfill Putin’s orders. This will happen much sooner than Ivanishvili can imagine. Prime Minister Irakli Garibashvili has stated that if Saakashvili does not arrive, that the prosecutor’s office will act in accordance with the law and declare the former President wanted. “Whether he will arrive or not is a different matter but, in my mind, he must arrive if he has any common sense left,” said Garibashvili. Official Tbilisi has been condemned by the West for its summoning of Saakashvili. The British ambassador to Georgia, Alexandra Hall Hall, and Swedish Foreign Minister Carl Bildt both roundly criticized the move. 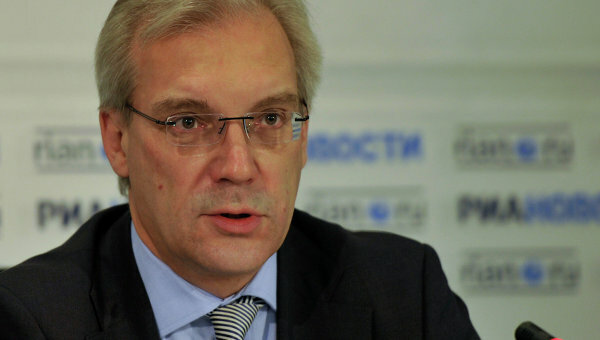 More harsh were the words of former US Assistant Secretary of State Matthew Bryza, stating that Georgia does not deserve a NATO Membership Action Plan (MAP) in light of the “politically motivated summoning” of Saakashvili. Estonian President Hendrik Ilves said that it would threaten Georgia’s chances of signing the EU-Georgia Association Agreement. In an inexplicable move, the summoning was also criticized by the US State Department late on Sunday, 23 March. I cannot understand where this hysteria is coming from. This is absolutely usual, democratic process. Similar thing is happening in the middle of Europe, as you probably know that there were questions towards former French president, I mean Chirac, Sarkozy, and also towards Berlusconi. So it’s absolutely a normal process. Moreover, the prosecutor’s office is talking about very grave crimes. I think that we have not given any reason for suspicion, on the contrary, we reaffirm that we are guided by [the principle] of transparency and the rule of law is the most important for us. If someone tries to [demand from] Georgia to be more democratic country than France or Italy, I think this is a wrong assessment. No one should demand from us to be more Catholic than the Pope. As for Saakhasvili, he is presently serving as an advisor to the Yatsenyuk government in Ukraine. His advisor status has been criticized by the government of Georgia and the government of Georgia’s breakaway region of Abkhazia. In Armenia, it has been lampooned on the popular satirical Armenian news program, ArmComedy (an Armenian version of The Daily Show). All of this is occurring as the West and Russia expand the frontlines of their geopolitical competition in the post-Soviet space to include Georgia. Most recently, there have been calls in the West for Georgia to receive an MAP at the next NATO summit at Newport, Wales in September. For its part, the EU has moved up the signing of Georgia’s Association Agreement from August to June. Meanwhile, Russia’s Deputy Foreign Minister Grigory Karasin and his Georgian counterpart Zurab Abashidze are set to convene a meeting soon that will pave the way for a high-level diplomatic meeting between President Putin and the Georgian political leadership, the first such meeting since the 2008 war. The stakes in this new front of the Russia-West geopolitical contest over the former Soviet space are considerably high. If the West succeeds, it will effectively drive a wedge between Russia and prospective Customs Union member Armenia. It would also give the West a continued open corridor to the vast energy reserves of post-Soviet Central Asia, posing a major threat to Russia as a European energy provider. Most significantly, it would permit the expansion of NATO squarely on Russia’s southern flank, paving the way for military bases within close range of Sochi, Grozny, Vladikavkaz, and Makhachkala. Russia will never let this happen. Suddenly, there would be a new Cold War dividing line running directly through the Caucasus, one of the most volatile regions of the world. NATO is free to take any decision and Russia is free to take any decision to protect its legitimate security interest and from the beginning we were telling to all our colleagues and we were very outspoken in all our discussions that we do believe that if NATO goes with enlargement it will continue produce new dividing lines, moving dividing lines towards the Russian borders and we said very clearly also that in some cases these dividing lines will cross the countries, inside the countries and this was a very important signal. Yet, regardless of the West and Russia’s competition over Georgia, the real power broker behind the future geopolitical direction of Georgia rests in the hands of Bidzina Ivanishvili. A Georgian patriot and a pragmatist, Ivanishvili is the bona fide force behind the present Georgian government, and he appears to be playing both great powers off one another in order to secure the best possible deal for Georgia. The Georgian billionaire, the son of poor Imertian peasants who made it big in Moscow by selling computers and push-button telephones, is likely well-aware of Russia’s strong disapproval of NATO expansion. As a businessman, he also knows that for Georgia to join the EU would be to join an economically sinking ship. However, as I have argued previously, he is keeping both the EU and NATO on the table as leverage in his relations with Russia. Specifically Ivanishvili wants Abkhazia and South Ossetia. This is something that only Russia, not the West, has the ability and mechanisms to resolve. Such a concession by Moscow would appeal to Georgian nationalism and would significantly diminish the perception in Georgian society of Russia as a “threat,” thus rendering any reason for future NATO membership completely moot. Of course, Moscow would not just return these breakaway regions to Tbilisi nor would the populations of these regions simply assent to this. Rather, Moscow would need to work and promote the “reunification” of these “independent republics” to Georgia in a co-equal federal structure that would then accede to the Eurasian Customs Union. A resolution like this would ensure protection of Abkhaz and Ossetian ethnic rights by Moscow and freedom of movement between these peoples and those of the Russian North Caucasus. Only time will tell what will happen next during this incredible roller coaster ride of the last several weeks. However, the summoning of Saakashvili by Tbilisi this weekend, and the strong Western reaction will undoubtedly affect future developments in the Caucasus. Through all of this, one thing is clear: Ivanishvili is the man who will make or break any future deal regarding Georgia’s geopolitical future. One can only hope that such a decision will be beneficial for the unity, stability, and security of the Caucasus as an entire region. Addendum (26 March 2014): As it turns out, the Karasin-Abashidze meeting has not yet been rescheduled. I read earlier that it may have been rescheduled for this week, but this has not happened. There will be likely an official announcement on this soon. I have corrected my piece accordingly. Further, my friend Benjamin Sweeney has informed me that Georgia has not been officially offered a NATO MAP by the US. Instead, it seems as though there has been a push by some in Washington and in Brussels to give Georgia an MAP at the upcoming NATO summit, though, this is not an official policy of the US (at least not yet). This has also been amended. Ben is a fellow-traveler in Russian and post-Soviet studies and has extensive experience with Georgia. He is an MPP student at the Ford School of Public Policy and an MA student at the Center for Russian, East European, and Eurasian Studies (CREES) here at the University of Michigan in Ann Arbor. Today Ukraine has signed its Association Agreement with the European Union. It was emphasized that only the political portions of the document were signed and not the ones dealing with economic a trade issues, i.e., Titles IV, V, and VI as well as the three annexes and the three protocols of the deal. The specific provision in question is Title II, Article 7, Part 1 (see here). The Parties shall intensify their dialogue and cooperation and promote gradual convergence in the area of foreign and security policy, including the Common Security and Defence Policy (CSDP), and shall address in particular issues of conflict prevention and crisis management, regional stability, disarmament, non-proliferation, arms control and arms export control as well as enhanced mutually-beneficial dialogue in the field of space. Cooperation will be based on common values and mutual interests, and shall aim at increasing policy convergence and effectiveness, and promoting joint policy planning. To this end, the Parties shall make use of bilateral, international and regional fora. As you can see, NATO is not mentioned here, but the CSDP is. It is the Common Security and Defence Policy of the European Union. It was founded in 1999; France and Germany were its biggest proponents. The idea at the time was to develop a pan-European security alliance, independent of NATO. However the US, under the Clinton administration, objected very strongly to this. They did not want to see NATO decline in its relevance. The 2002 Berlin Plus agreement was able to iron out points of disagreement between the EU and NATO and it led to closer cooperation between the two. Regardless of whether or not this provision indicates a direct pathway for future Ukrainian membership in NATO, it is still likely to raise serious concerns in Moscow. From the Russian perspective, the possibility of a potential Ukrainian membership in any Western military structure excluding Russia, whether it is the CSDP or NATO, will likely be viewed with great suspicion, apprehension, and unease. … we have already heard declarations from Kiev about Ukraine soon joining NATO. What would this have meant for Crimea and Sevastopol in the future? It would have meant that NATO’s navy would be right there in this city of Russia’s military glory, and this would create not an illusory but a perfectly real threat to the whole of southern Russia. These are things that could have become reality were it not for the choice the Crimean people made, and I want to say thank you to them for this. In Russia, the decision was greeted with euphoria; the vast majority of Russians (over 90%) agreed with the Crimean referendum. Former Soviet President Mikhail Gorbachev agreed with it too, saying that the people of Crimea “corrected a Soviet mistake” and that the West should celebrate this as a victory of self-determination and should not place any sanctions on Russia. Indeed, for many Russians, Putin’s move in Crimea has cemented his place in history as a truly great Russian leader and patriot, alongside the likes of Peter the Great and Catherine the Great. The question now is: what next? What will happen in the post-Crimea crisis era? In an analysis that I wrote last week, I highlighted five reasons why absorbing Crimea would be detrimental to Russia. Of those five, the first three are arguably not major points and are effectively moot. Ukraine will not seek nuclear weapons, the markets did not react badly to Putin’s move, and the impact of sanctions has been (and will continue to be) marginal. On the latter point, the West knows it can only do so much. If they would implement full-scale sanctions, it would hurt them (especially Europe) as much or more than Russia. Moscow has very good relations with Beijing and has already been looking eastward anyway (today it has indicated as much). If full economic sanctions were put in place, it will be the EU, not Russia, that will suffer. Heavy sanctions would potentially have the effect of compounding the already-unstable situation in the Eurozone. Further, if the EU remains committed to the Kiev government in Ukraine, they will be obliged to give money to them too. Another serious concern that I discussed was the possible impact that Crimea’s accession to Russia would have on further NATO expansion, and that it may give credibility to those Cold War lobbyists and Russia-bashers in the West who want to bring NATO to Russia’s doorstep. Fortunately for now, it seems as though the West has relented on bringing Ukraine into NATO. Ukraine’s interim Prime Minister, Arseniy “Yats” Yatsenyuk now seems to be emphasizing that Kiev does not seek NATO membership and that it supports a possible federalization of Ukraine (ideally on an oblast-by-oblast level), two things that Moscow wants to see. Yet, efforts toward NATO expansion seem to continue unabated in the Caucasus. Here Washington has shown a clear interest in granting Georgia an MAP (Membership Action Plan) by September this year. The Russian daily Kommersant said as much last week, though for those closely watching developments in Georgia, this was nothing new, especially after Irakli Garibashvili’s trip to Washington last month. Significantly, yesterday NATO announced that it will be sending a delegation to Tbilisi next week. Meanwhile, French President François Hollande, a friend of Washington, has also announced a future visit to Georgia in May. Having Georgia as a NATO member would be a major strategic victory for Washington over Moscow and would pave the way for NATO military bases within close range of Sochi, Grozny, Vladikavkaz, and Makhachkala. Moscow will never accept this and, as I have previously written, Moscow will work to strike some sort of a deal with Tbilisi before autumn. Already this week Moscow made two strategic moves: they reopened the Georgian Military Road fully for the first time since 2006, and Grigory Karasin, Russia’s Deputy Foreign Minister and representative for Russo-Georgian relations, held discussions on the Abkhaz and South Ossetian borders with Georgia with UN representative Antti Turunen, OSCE Special Representative for the South Caucasus Angelo Gnaedinger and Permanent Representative of the European Union, to the OSCE Thierry Bechet. Karasin is due to meet with his Georgian counterpart Zurab Abashidze next week, a very significant meeting that may pave the way for a direct meeting between Putin and Georgian President Giorgi Margvelashvili and/or Prime Minister Irakli Garibashvili. The Karasin-Abashidze meeting has already been delayed twice, and it remains to be seen how this situation will finally develop. Addendum (21 March 2014): Dr. Stephen F. Cohen, professor emeritus at New York University and Princeton University, has informed me that “calls to bring Ukraine into NATO have not diminished among NATO reps and advocates in Europe.” I agree and I must emphasize that I do not think Ukraine has left the NATO agenda. However, I do think that Washington has advised Yatsenyuk to “cool it” hence why he is now saying that he does not want to Ukraine to join NATO. Yet, this is only for the time being and I still suspect that the ultimate objective is to bring Ukraine into the alliance anyway (though Moscow will never allow this). This is why I wrote “Fortunately for now, it seems as though the West has relented on bringing Ukraine into NATO.” Instead, for the present time, Georgia appears to be the focus for more immediate NATO expansion. Again, though, I must emphasize that I certainly do not think that Ukraine has totally vanished from the view of NATO expansionists. In fact, I am still concerned that, in the aftermath of the Crimean crisis, NATO expansion is now being viewed as a “wise move” among many circles. NATO expansionists, Russia-bashers, and Cold War hawks will be seen as correct in their predictions that “the Russian bear was always a threat” and that “we need NATO to counter Russia.” Their foolishness, irresponsibility and arrogance is now being viewed as “wisdom” and “foresight.” It seems to somehow reaffirm and vindicate the notion that “poking and antagonizing the bear” was a “well-informed move” and that it enhances the security of the United States and the West. Nothing could be further from the truth. In light of the recent Ukraine crisis, much has been made about the issue of Russian citizens in Ukraine, especially as Russia has stated that it may employ the “right to defend” its citizens. This made me consider: are the people of Ukraine able to hold the citizenship of both Ukraine and Russia, including both passports? The short answer is technically no. According to the present Constitution of Ukraine (Title I, Article 4) and the Law on Citizenship of Ukraine, it is illegal to hold dual citizenship in Ukraine. However, there are still many in Ukraine who hold dual citizenship anyway. Understandably (and perhaps not surprisingly), a good number of Russians living in Crimea held dual-citizenship up until the recent referendum (it is unclear how a future status of Crimea outside of Ukraine will affect the citizenship status of these people). Gazeta.24 [a Ukrainian news service] reports that in one oblast [likely Chernivtsi], many Ukrainians have Romanian passports; in another Polish, and in many of the eastern oblasts, Russian passports. According to the article, about 70% of the residents in Chernivtsi (North Bukovina) hold dual citizenship with Romania. It is also probable that many Hungarians living in the southern portion of Zakarpattia Oblast hold dual citizenship with Hungary. In fact, Budapest has recently opened up the door to granting citizenship to their co-ethnics abroad, including in Ukraine. The majority of applicants are ethnic Hungarians, though it is possible that some Carpatho-Ukrainians native to Zakarpattia have taken advantage of this as well. More significantly, it is worth noting that the article states that dual citizenship with Russia also extends to the “many of the eastern oblasts.” This likely includes the southern oblasts too and probably even significant portions of some central oblasts (especially the Sumy, Chernihiv, and Kirovohrad Oblasts). Overall, it can be deduced that the vast majority of those in Ukraine with dual citizenship share it with Russia more so than any other country. 1. It would undermine the terms of the 1997 Russia-Ukraine Friendship Agreement. In this treaty, Russia recognized the territorial integrity of Ukraine. In return, it received substantial benefits, including Ukraine giving up its Soviet-era arsenal of nuclear weapons for destruction. If Russia reneged on this treaty by absorbing Crimea, then it could leave the door open for Ukraine to seek nuclear arms. Nobody wants nuclear proliferation and it certainly would not be in Russia’s interest. 2. Financially speaking, annexing Crimea comes with a huge price tag. Putin has already seen the effects of the 2008 global financial crisis on Russia. It brought thousands of middle class Russians out into in the streets of Moscow and seriously hurt Putin’s approval rating. Annexing Crimea would bring about a substantial financial reaction that would do more harm to Russia than good. 3. Russia would be isolated from the West. Annexing Crimea would seriously damage Western-Russian relations which are especially crucial to both sides. One could argue emotionally that relations with the West are already tense, so why would Russia care? Indeed, Russia would care because it has strong economic connections to the West, especially the EU. Likewise, the West (and the EU in particular) has strong economic ties with Russia. To severe these ties would create serious problems for both Russia and the West that neither side can really afford. 4. It would seriously damage Russia’s credibility in Ukraine. Opinions about Russia vary in Ukraine. In Western Ukraine, especially Galicia, there is a strongly anti-Russian sentiment. However, the attitude becomes more positive in Central Ukraine and especially in the Russophone South and East Ukraine. Arguably, it is also positive in the distinct westernmost oblast of Zakarpattia where pro-Russian sentiment can be found among many of the Carpatho-Ukrainians. As I wrote earlier, Putin’s primary aim is not to annex Crimea or to annex Ukraine in part or in whole. Rather, he wants to see Ukraine in its entirety join as an equal partner in his Eurasian economic Customs Union. Such a move would be impossible without domestic support and if Crimea is absorbed by Russia it would alienate broad segments of the Ukrainian public, from Uzhgorod to Luhansk, who regard Crimea as “their turf” even if it is an ethnically Russian-dominated region. Further, by annexing Crimea, Russia would also lose a significant point of geopolitical leverage over Kiev which, if not keeping the country within its orbit, would at least ensure that it does not join the NATO military alliance. 5. It would give license for further NATO expansion, right up to Russia’s frontiers. By absorbing Crimea, Russia would be giving a clear justification for the expansion of the NATO military alliance deep into post-Soviet territory. Cold War lobbyists and anti-Russian hawks in the West would feel vindicated and justified in their efforts, dating back to the 1990s, to bring NATO right on Moscow’s doorstep. These NATO expansionists would play on popular Ukrainian disillusion with Russia in the aftermath of a potential Crimean absorption and would work to bring Kiev into the alliance. Suddenly, Russia may find itself faced with NATO military bases in Sumy, a mere 98 miles away from Kursk and 404 miles from Moscow! Further, NATO expansionists would also speed up a potential Georgian membership in NATO in the south (something that is already being discussed). As it stands now, Moscow still has some cards to play with Tbilisi, as I have discussed in a previous analysis. However, an absorption of Crimea would potentially threaten any advancements in Russo-Georgian relations and it could also plant Tbilisi firmly in the Western camp, making potential Georgian membership in NATO a real possibility. This would mean that NATO bases could potentially be on the southern slopes of the Greater Caucasus range with missiles aimed at Chechnya, Daghestan, and Sochi. This would also give the West a perpetual outlet to Eurasia as Georgia now serves as a corridor to Western access to resource-rich post-Soviet Central Asia and the Caspian basin. If Russia annexed Crimea and the West reacted by planting Georgia firmly in its camp, then Moscow’s influence in Central Asia would also be undermined. Given these five reasons alone, I must state again that I think Moscow is not interested in annexing Crimea and instead seeks to use it as a bargaining chip with the West in the ongoing Ukraine crisis.